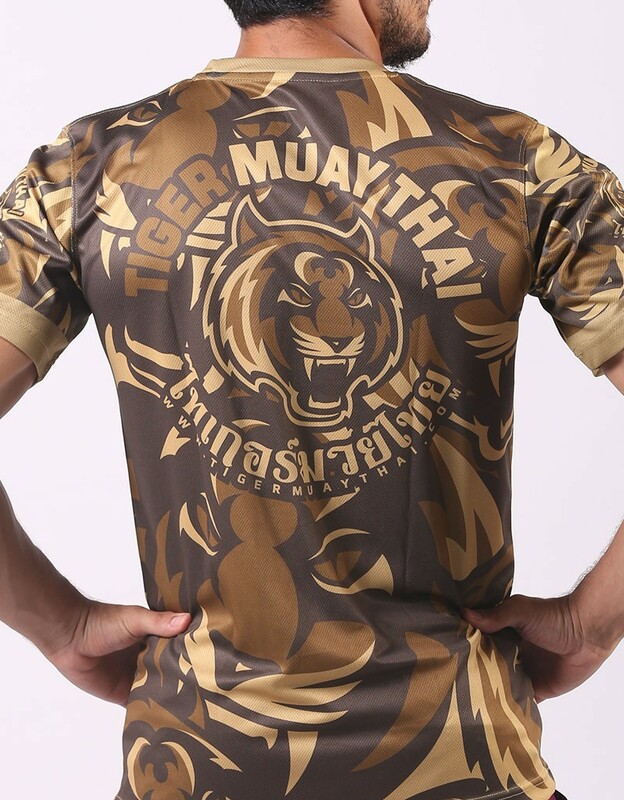 Tiger Muay Thai "Tiger Cammo" T-shirt in desert colors. 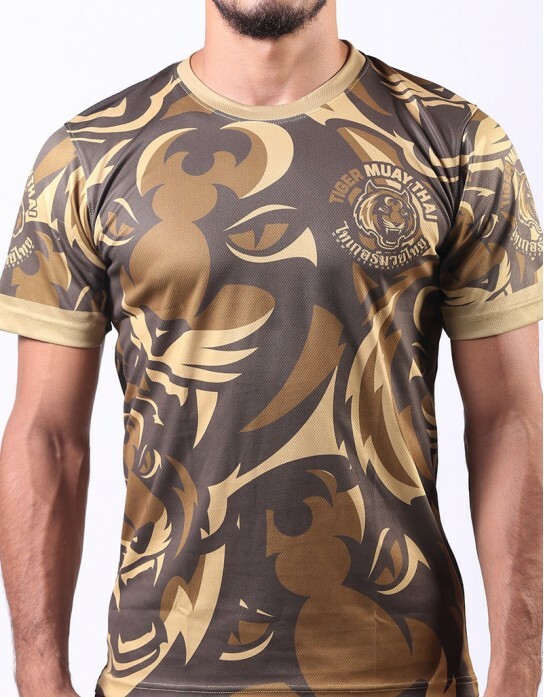 Tiger Muay Thai "Tiger Camo" T-shirt with the Tiger head forming a camouflage pattern in desert colors. 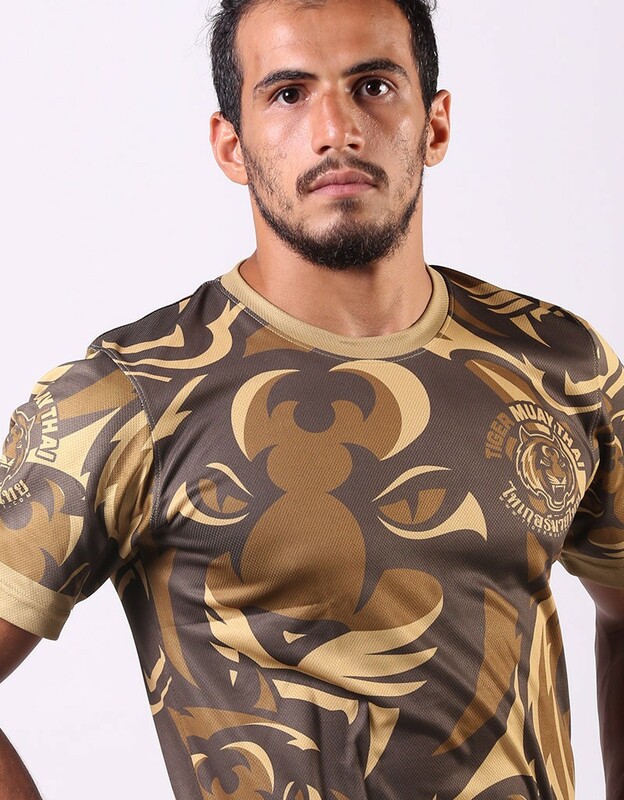 The shirt is in a dry-fit style material called "Soft Tech", a 100% Micro Polyester lightly meshed, a bit thicker then our "Slimsoft" material but still lightweight that is breathable and dries easily. The model in the photos is 5' 6" / 167.5 cm and wearing a M size.